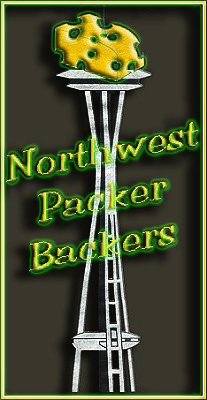 ← 2017 NWPB Packer Season Kickoff!! Hello NWPB Club Members and Packer fans….Here are details for Sunday’s game vs Cincinnati for our NWPB HQ and NWPB OLYMPIA CHAPTER. Seating: Kickoff is at 1:25pm Seattle time! The Mustard Seed will start seating Packer fans for Sunday game by 11:00 am so please do not arrive before then. This provides the Mustard Seed the needed time to get things setup for us. Remember that Seattle plays at the same time. The Mustard Seed continues to provide us with a great game day experience as the have added another 12 ft big screen for us on game day and a new 65 inch 4K TV! This is in addition to the 10ft big screen and 15 other HD TV’s for Packer games. Not a bad seat in the house! Game Day happenings: We will have our charity raffle at the end of the 3rd Qtr. with lots of great Packer stuff. We also have a special giveaway for this raffle. We are continuing our letter writing campaign to support Jerry Kramer’s bid for the Hall of Fame! At Half-time we will have a drawing for a Sponsor giveaway(s) for club members that are present. Member signups will start before the game. We have some other fun events that will be announced at the Mustard Seed. Reminder to all Club Members to wear their membership badge when entering the Mustard Seed so that you receive your discount on the Game Day buffet. Seating: Kickoff is at 1:25pm Seattle time! Be sure to get to Cheers early to support your team and secure a great spot and cheer on our Pack! Remember Seattle plays at the same time. See you all there. GO PACK GO! Reminder to all Club Members to wear their membership badge at Cheers to ensure that you receive your discount on you bill. Game Day happenings: Reminder that Keri-Anne is taking member signups! Please check out the charity raffle today! At half time we will have our Sponsor/Club member giveaway for club members that are present.